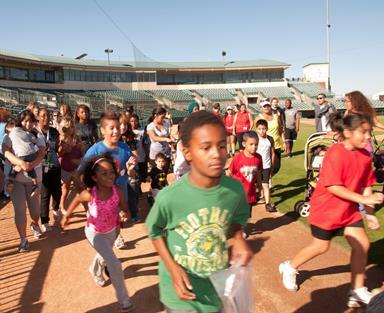 LANCASTER – On Saturday, Oct. 12, Child Care Resource Center and their Champion sponsor, the Lancaster JetHawks, will be hosting the 4th Annual Laps4Literacy event from 9 a.m. to 1 p.m. at the JetHawks Stadium in Lancaster. The free community event offers a special fun run for the kids. “It has been our honor to partner with CCRC to bring the Laps4Literacy event to the AV community for the past 4 years. We see more families come out every year. I continue to be impressed with the hands on learning activities, entertainment and the great information parents receive. We are looking forward to an even bigger and better event this year!” said William Thornhill, JetHawks Assistant General Manager. This FREE community event offers a 5K run/walk/stroll, a special fun run for the kids, music, live entertainment, and lots of exciting children’s activities. Every child will go home with a FREE book and families receive a bag of just picked fruits and vegetables. Every child that attends the event will take home an age appropriate book. Register for the 5K walk/run/stroll, at www.ccrcla.org. You may register as an individual or a team, with a suggested donation of one children’s book per 5K participant. “We are very excited for this year’s Laps4Literacy. Last year we had over 1,000 participants at the event, and we are expecting to double that this year. We encourage everyone to come out to the JetHawks Stadium on October 12th for some family fun that benefits a good cause,” said CCRC’s Director of Communications, Susan Montalvo. Every child that attends the event will take home an age appropriate book. 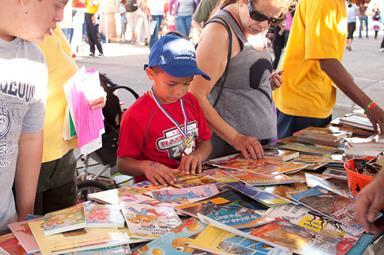 Organizers are also collecting new or gently read books. Please bring your donation with you to the event! 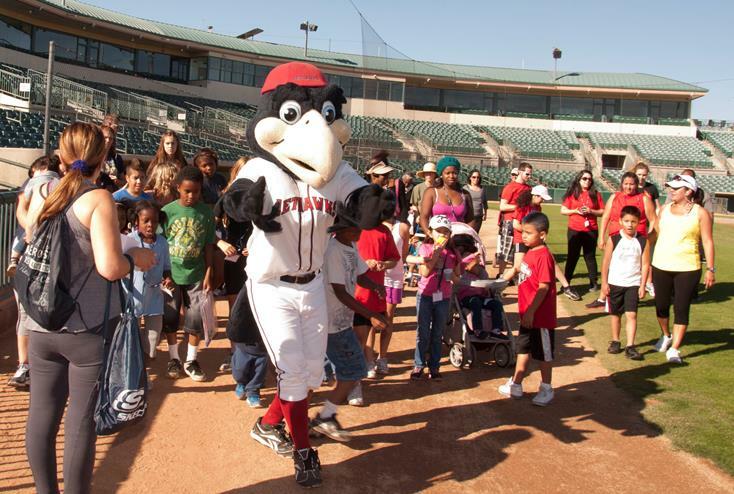 Laps4Literacy sponsors in the Antelope Valley include the Lancaster JetHawks, DeVry University, Kaplan Early Learning, Homewood Suites, and East Side Barber Shop. You, too, can make a difference in the Antelope Valley by sponsoring this event. For more information, visit www.ccrcla.org or contact the Communications Department at 1-866-67-4KIDS.